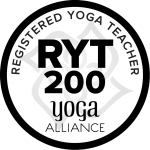 RavenYoga offers weekly Vinyasa yoga classes and private sessions for all abilities, in Greenwich, South East London, and Central London. I believe deeply in the healing power of yoga, whether you’re looking to get fitter, to improve your strength and flexibility, or simply looking for some stress-relief and relaxation in this busy city. Whether you’re completely new to yoga or have some previous experience, RavenYoga classes will guide you through a series of postures (asanas) and breath work (pranayama), designed to leave you feeling relaxed, refreshed and energised. Classes are adaptable, and designed to suit the needs and abilities of all students. Regular classes of dynamic (Vinyasa Flow) yoga take place at various locations in Greenwich, three times each week. My classes are suitable for all levels of experience and fitness, and private, one to one and one to two sessions and corporate yoga sessionsare also available. A new addition to the site – the RavenYoga video blog – is now up and running, so as time goes on, remember to check back regularly for brand new (and free) content. Please note: There is no class this Saturday morning (9th March). All other classes are going ahead as normal. My dynamic, vinyasa flow yoga classes take place three times each week, at various locations in Greenwich. All of my classes are drop-in, and suitable for all abilities. In addition to my classes, I offer private, one-to-one and one-to-two sessions. Private sessions can take place either at your own home, or at my home in Maze Hill, Greenwich. I also offer corporate sessions for groups, either at your place of work, or a location of your choice. “Katherine is a talented yoga teacher who is able to work with mixed-ability groups and ensure everyone works safely but is challenged to progress; I certainly felt both my my yoga and meditation practices had developed at the end of a week’s group holiday with her. If you have any questions regarding any of my classes or sessions, please don’t hesitate to call or email me, or find me on Facebook and send me a message there! Also, don’t forget to check out my FAQs page. The answers to many common questions can be found there.